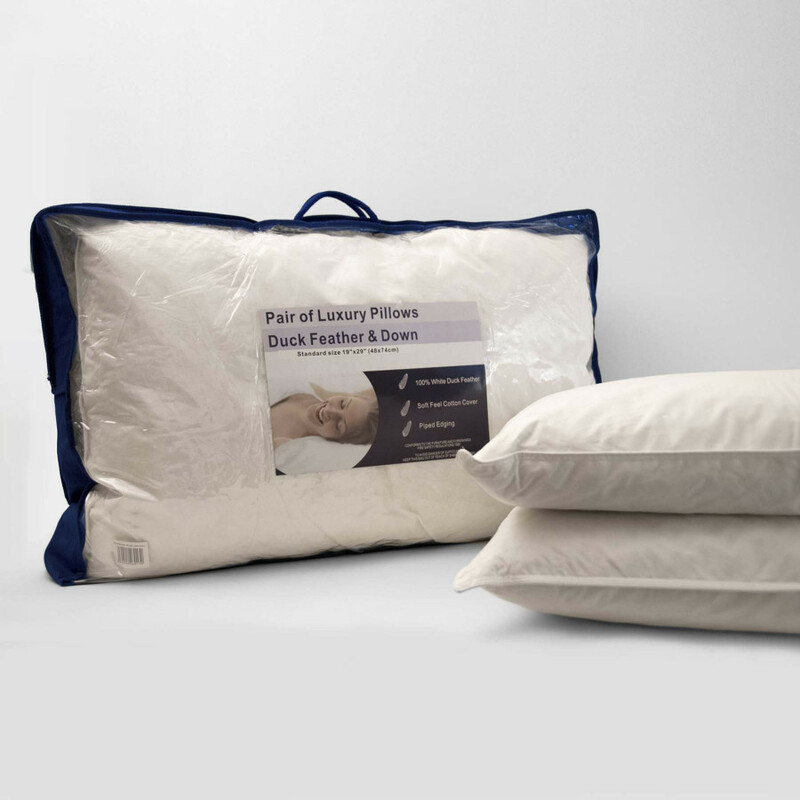 A perfect addition to your bedding assortment, enjoy peaceful and refreshing nights with our Duck Feather Down Standard Pair of Pillows available to buy online at Bedding Mill. Our pair of pillows is a high quality way to get a luxurious night sleep. With a quality 90% White Duck Feather and 10% White Duck Down filling, these pillows are designed to grant high comfort whilst you sleep. It is cased in durable 230 thread count cotton cover for added comfort. For your convenience, this pair of pillows can be washed at 40°C and tumbled dried at home to keep them fresh and to ensure that you enjoy its lavishness and comfort for even longer. Get this pillow in size of 19" x 29"(48cm x 74cm).